We make the messy simpler and the stressful easier. Problem: A relative or friend experiences a serious injury or is diagnosed with a serious illness. You need to help, but you’re juggling a job and family and maybe even live half a continent away. Let us help you help your loved one. Problem: You need a medical specialist or second opinion. How do you find the right person? Let us help you get the answers you need. Problem: You experience a serious injury or are diagnosed with a serious illness. At this difficult and frightening time, you have decisions to make about treatments, specialists, and worst-case scenarios. Let us help you get the right treatments. 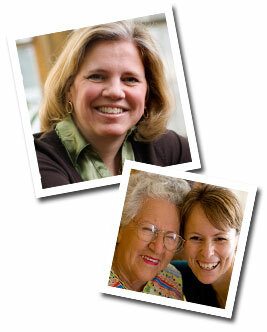 Problem: Your elderly parent needs support and you want solutions you both feel good about. Let us help you find the perfect fit for your parent. Problem: You or a loved one has a chronic, ongoing condition involving doctors across multiple disciplines, and it’s hard to keep track of it all. Let us help you streamline your care. Problem: You or a loved one have been diagnosed with a terminal illness and need to plan for end of life care. Let us support you through this phase of life. If you or a friend or relative are facing one of the difficult challenges described here, we’d sincerely love to help. Reach out today.